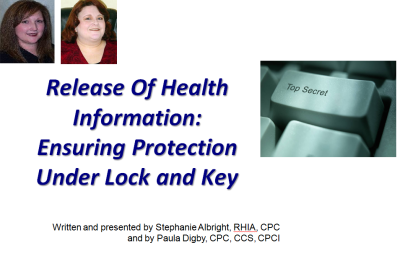 This course is a discussion of HIPAA rules and state regulations regarding who is allowed to release what information from the medical record and to whom. It includes examples from both Georgia and Arkansas as well as clear direction for those who encounter medical records as part of their job. This course authored by Paula Digby and Stephanie Albright.